Praised by Edmund’s for its “appealingly modern design,” the Chevrolet Spark is perfect for driving down those Surprise roads. View our current inventory of used Chevrolet Spark models in great condition and when you are ready, visit Cactus Jack’s Auto to test drive the Spark. Why Buy a Used Chevrolet Spark at Cactus Jack’s Auto? 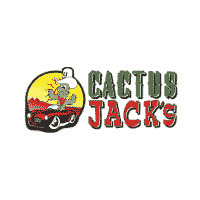 Our team at Cactus Jack’s Auto near Mesa wants to put you on the road and on your way to better credit. Visit our dealership to finance your next used vehicle today.